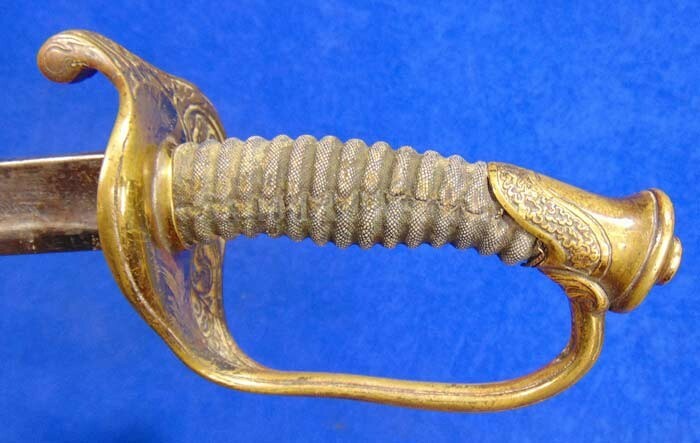 Here is a very pleasing looking Civil War officer sword. 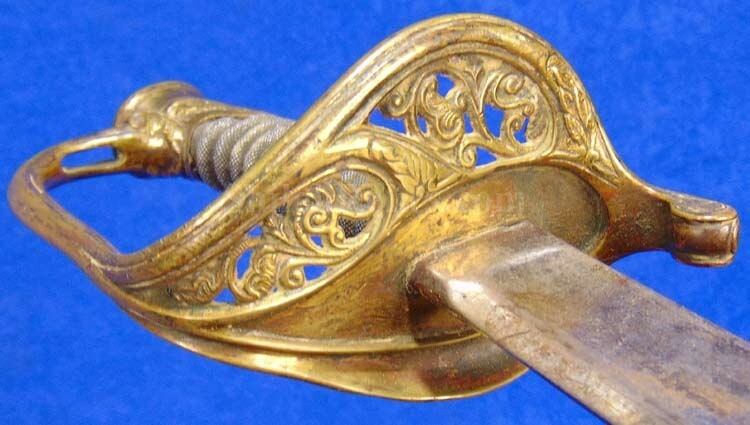 This is the style known to collectors as the "foot" officers sword of the model 1850. This is the style that was worn throughout the Civil War by officers. 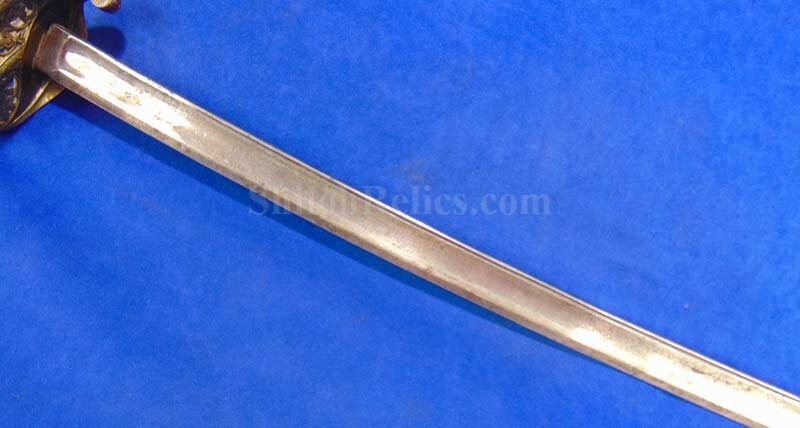 This one has a full-length blade that measures 30-5/8ths inches in overall length. The blade has a very pleasing medium tone. 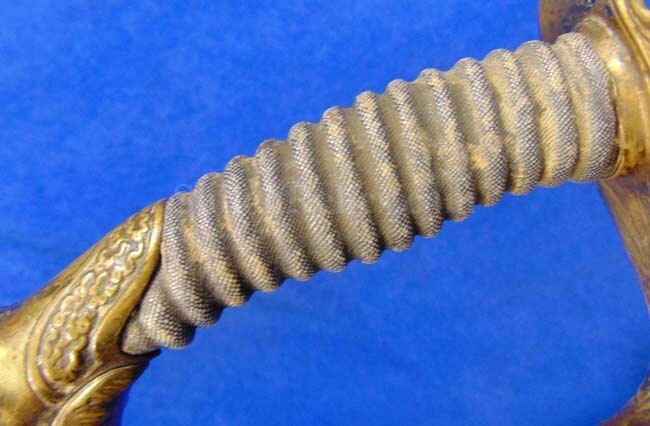 This blade was never marked by the maker but by the design of the blade as well as the hand guard it is likely that it was made in American, Possibly Philadelphia. 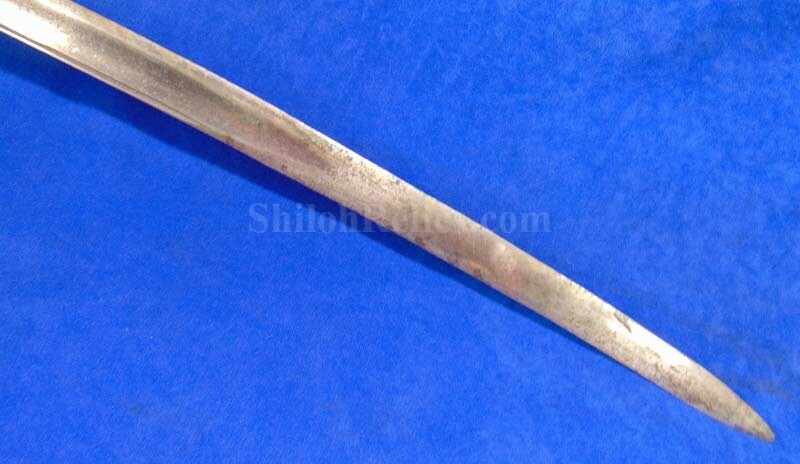 The blade was made without any etching as you occasionally see on a privately purchased sword. 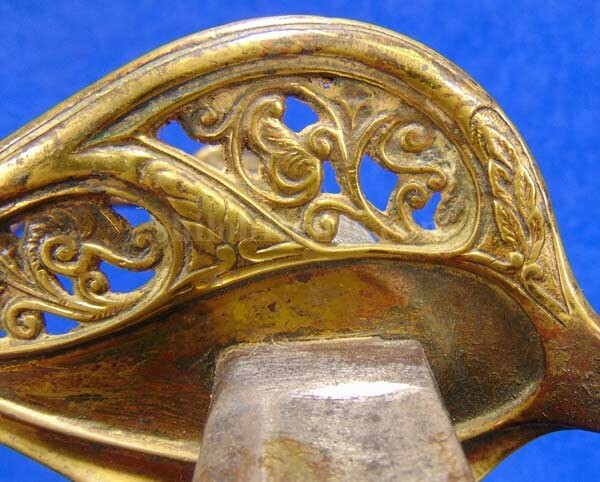 The hand guard and pommel, each made of brass, still retain a beautiful amount of the original gold gilding down in the protected areas. 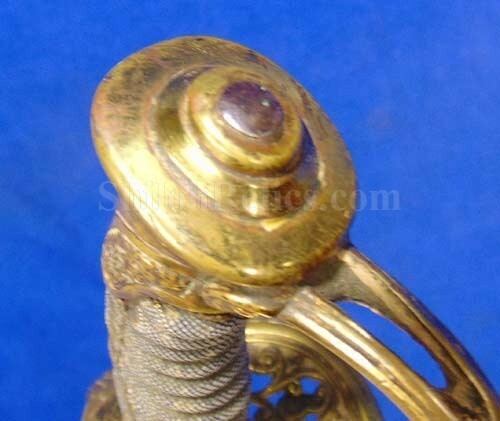 The hand guard has the floral pattern that lets us know it was for the foot officers. 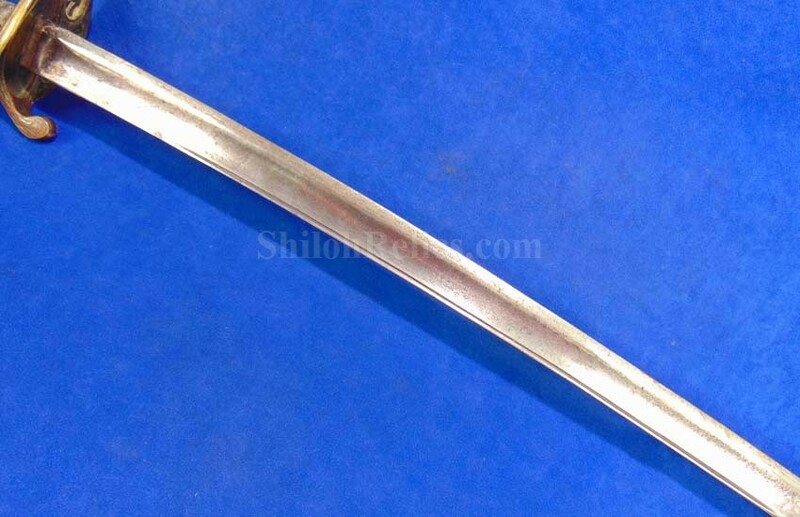 On the handle of the sword it has the original sharkskin wrapping that has a beautiful gray tone all over. 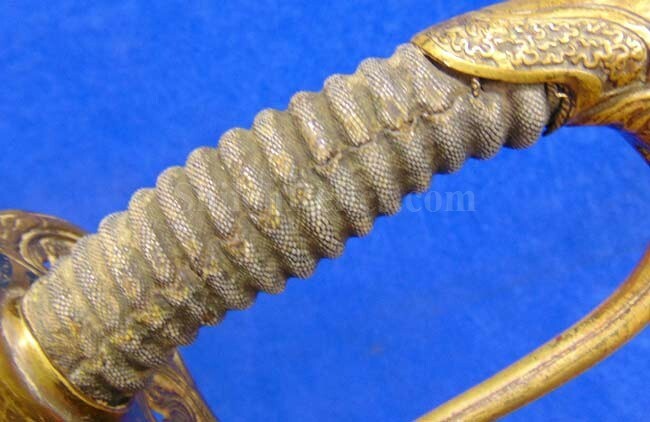 Somewhere along the line the double twist brass wire was lost to the ages. 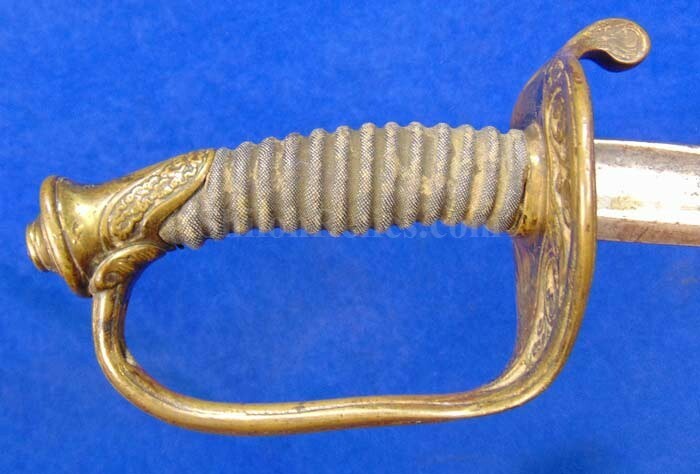 This is a great looking original Civil War officers sword.